Pro Bowl kicker who debuted in the NFL for the New England Patriots in 2006. He helped the Patriots win Super Bowls XLIX, LI and LIII. He attended Madison Central High School in Wisconsin and was named All-State in football, soccer, and baseball. He played college football at the University of Memphis, where he set the school record in points and recovered his own onside kick in a 2005 game against Houston. 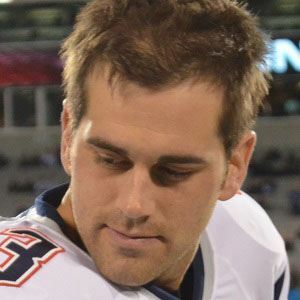 He married Hallie Gostkowski in 2008. He has two sons named Slayden and Gannon. He became Tom Brady's reliable kicker on the Patriots in 2006.